With Donald Trump now in office, there are a lot of people approaching retirement who are concerned about the state of Social Security. With Mr. Trump initiating drastic reforms in other areas of the government, the fact that Social Security is underfunded has many current and future retirees concerned their benefits might be reduced at some point. Social Security is a huge component of most Americans’ retirement plans. And while I consider myself pretty well versed in the system, I decided to bring in a subject matter expert for this post. Ben Brandt, of Capital City Wealth Management, was kind enough to share his time and shed some light on the matter. This post is a quick update of the current status of the Social Security fund, as well as Ben’s insight on what reforms are currently on the table. We’ll get to my interview with Ben shortly. For some context, let’s take a look at the current state of Social Security. Every year, the Social Security fund’s trustees are required to issue a report on the fund’s financial status. Each report includes data on the fund’s current assets (cash) and liabilities (retirement benefits payable). 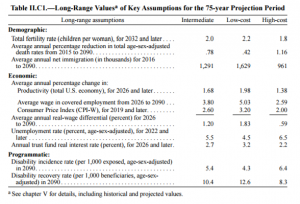 They also include long term projections based on demographic data and a bunch of other variables. The most recent report claims that the Social Security trust is currently taking in more revenue through payroll taxes than it’s paying out in benefits. It projects this to be the case through 2019. Some key assumptions from the trustees’ most recent report. One of the murkier areas of student loans is the various ways you can get rid of them without actually paying them back. As you might know, there are pretty helpful forgiveness options in the federal student loan system. But what about getting your loans discharged in other extenuating circumstances? Can you shed your loans by declaring bankruptcy? What if you become disabled? 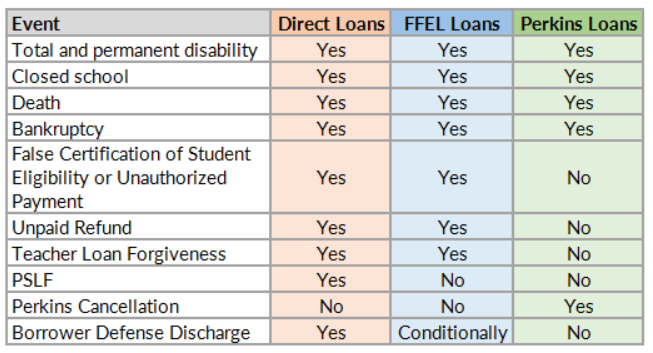 This post will cover the lesser known “out-clauses” (also known as dischargeability) for both federal and private student loans. You may have heard before that the federal student loan system is actually quite accommodative to borrowers. This is true. The federal student loan system has several different repayment options to make life easier on borrowers, like extended repayment periods and income driven repayment schemes. But on top of the various repayment options, the federal system gives borrowers a good number of “outs” where your debts will be erased under certain conditions. This includes both forgiveness, like PSLF, and dischargeability, if you were to become disabled or die. Today’s post is going to fall a little more on the abstract side of the spectrum. To date, most of the posts you’ll find on Above the Canopy are somewhat technical, and oriented toward achieving financial independence. But for many thousands of people in America, the traditional career trajectory (working for 30-40 years until fully retiring around age 65) is a poor fit for their values. 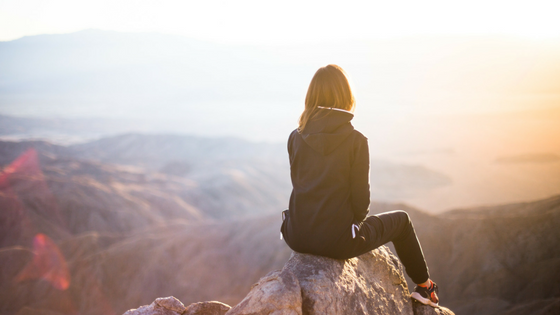 The pursuit of financial independence often compromises the important parts of our lives, leaving us overworked and unhappy. So in today’s post I’ll examine the difference between money-centered and happiness-centered living. We’ll cover what we actually need to be happy, and the role money plays in fostering a happy life. Finally, we’ll cover how you can arrange your finances to support a life focused on happiness & fulfillment. If you’re up for a “deeper” post and don’t mind me waxing philosophical, read on! Usually when we hear about financial independence, it’s used in the context of having enough assets to live off of comfortably. Whether they produce enough income to fully cover our living expenses, or the withdrawals from principal are small enough that we’re confident we’ll never run out of money, the idea is the same. Financial independence means we’re no longer beholden to employment, since we could live off our own assets if we wanted to. 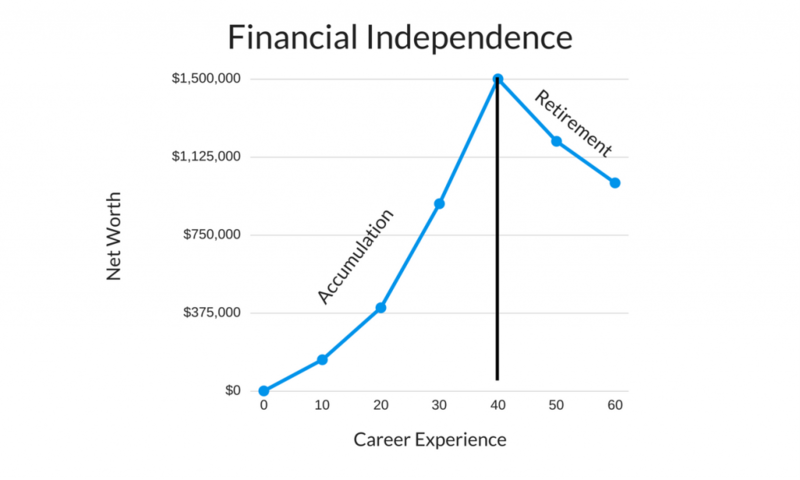 This idea of financial independence also fits pretty nicely with our traditional view of retirement here in America, where there’s a stark contrast between “working” and “being retired”. Our working years start when we first enter adulthood. While we usually don’t have much to our name, we do have (hopefully) some ambition and a few skills we can use to earn a living. We go out and market these skills to potential employers and eventually get a job. If we’re lucky, it’s work that’s interesting to us and pays a decent wage. Once we start our working years we begin to collect paychecks every other week, which we use to pay taxes, rent, and other living expenses. After the bills are paid we use anything left over to pad our retirement accounts, bank accounts or both. At this point we’re in the phase of life affectionately known as the accumulation phase. We earn an income, use it to pay our living expenses, and save whatever is left over. 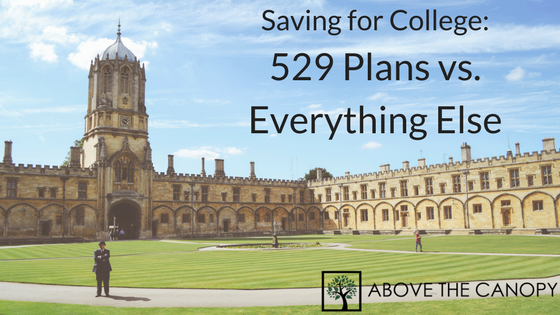 Our savings grow with each paycheck, and our net worth accumulates over time. We invest our savings in order to accelerate growth, and sooner or later we reach the holy grail – financial independence. If we wanted to, we could discontinue our employment and use income and withdrawals from our savings to pay our living expenses. We’re no longer reliant on our job for income. We can do whatever we want. We’re financially independent. What Will Healthcare Cost in Retirement? Planning for retirement takes careful preparation and a decent idea of what your budget will be once you stop working. This can be a pretty scary process with so many unknown variables. How much will groceries, travel, and utilities cost in 15-20 years? How long will you live, exactly? What if you get hurt or need help with everyday activities like getting dressed or paying the bills? Arguably the biggest variable when we talk about retirement is the cost of healthcare. It’s no secret that the cost of coverage and prescription drugs is increasing at an uncomfortable pace. 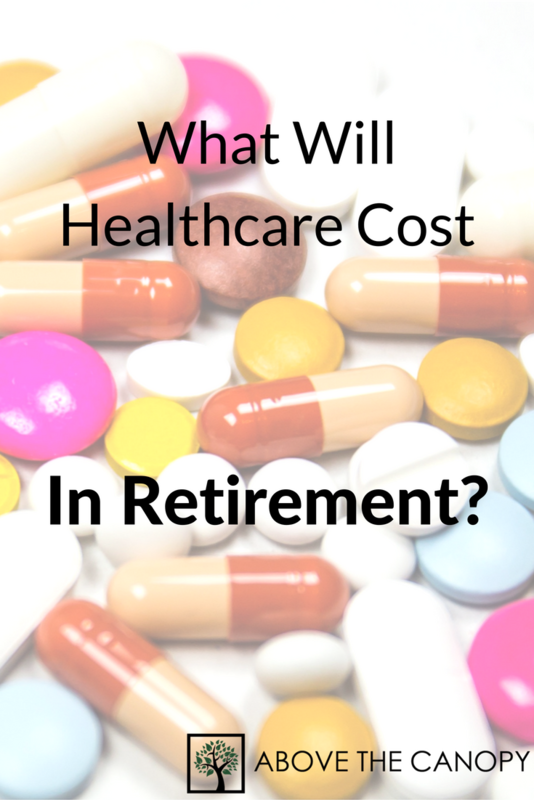 This post will cover the current research on what healthcare will cost in retirement, as well as the best way to put money aside for it now. OK – with a new year upon us it’s time to clean up that rusty old 401(k) plan at your small business….right? Let’s say that you work in or own a small business, and are responsible for operating the company’s 401(k) plan. To put it lightly, it’s probably a massive nuisance. 401(k) plans can be a wonderful benefit to your employees AND a great opportunity for you to put more money away for retirement in a tax deferred account. But as you may now, operating a plan can be a real bear. I’ll be covering the finer points of operating small business retirement plans throughout the year. Today’s post will focus on what to do with departed employees. Employees will come and go to and from your business over time (hopefully not too often), and it’s not uncommon for them to leave money they’ve accumulated in your company’s qualified retirement plan. 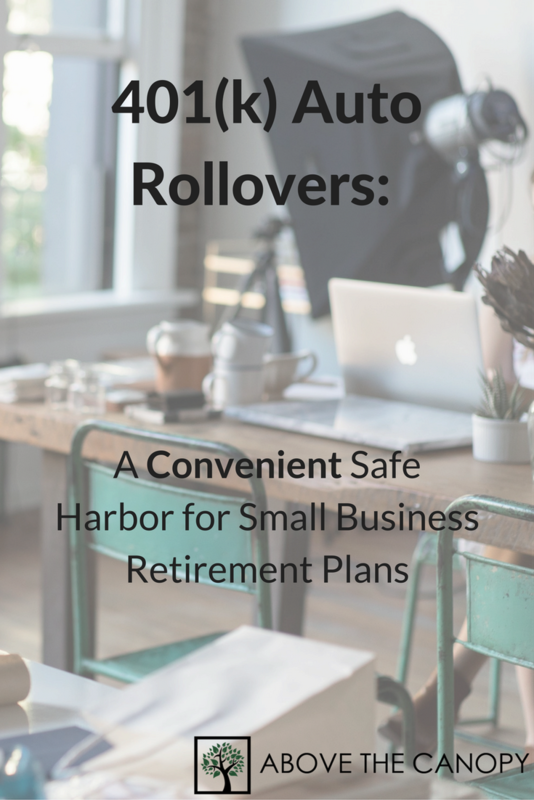 As you probably know, departed employees always have the opportunity to pull their money from your plan after they leave, either directly or via a trustee to trustee rollover. But many employees neglect to do so. Whether it’s because they don’t know how, don’t care, or are simply lazy, it’s very common for departed employees to “accumulate” in your 401(k) plan, long after leaving the company for greener pastures. As you also know, as the sponsor of a qualified retirement plan you have certain fiduciary responsibilities when it comes to managing the plan on behalf of your participants. It’s for this reason – fear of repercussion – that many sponsors feel stuck when it comes to managing assets of employees who long ago left the company. Fortunately for you, ERISA was not written with the sole intention of making your life hell. There are six safe harbors written into the law that free you from fiduciary responsibility if you follow a few step by step instructions. And one of them conveniently covers departed employees. Turbotax vs. 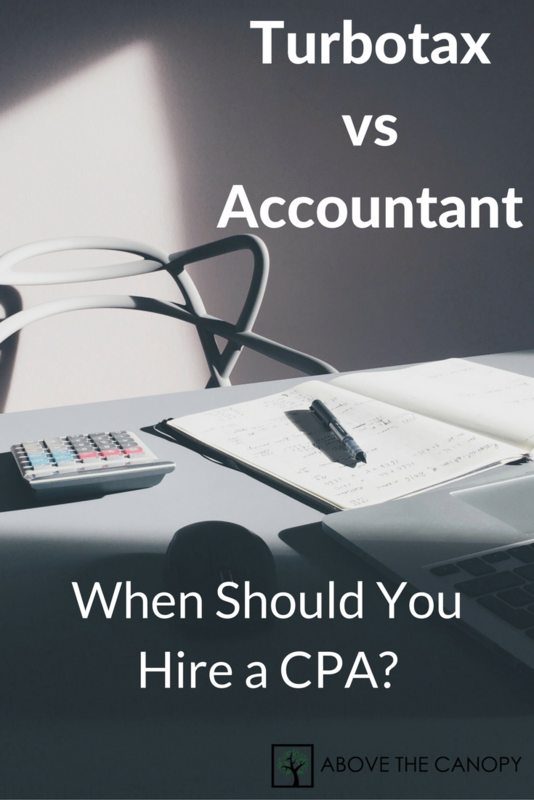 Accountant: When Should You Hire a CPA? Let me start by saying that I’m a big fan of most tax preparation software. Taxes are a cost in and of themselves. Any way to automate the prep and filing process in a compliant and inexpensive way is A-OK in my book. But even though they’re easy to use, Turbotax and others are still software programs that have limitations just like any other robot. When your financial picture becomes sufficiently complicated, spending the extra cash to hire a professional can actually save you money in the long run. Here’s my take on when you should ditch the software for an experienced professional. When people talk about tax in general, there are really two sides to the conversation: tax planning and tax compliance. Tax planning is essentially planning transactions before they happen, and making thoughtful decisions that will minimize the total amount of tax you owe. Tax compliance, on the other hand, has to do with preparing your return, filling out forms, and reporting on transactions that have already occurred. While tax prep software is great and all, it’s really only useful for tax compliance. The more complicated your financial profile becomes, the more decisions you’ll have to make, and the more important tax planning will become. 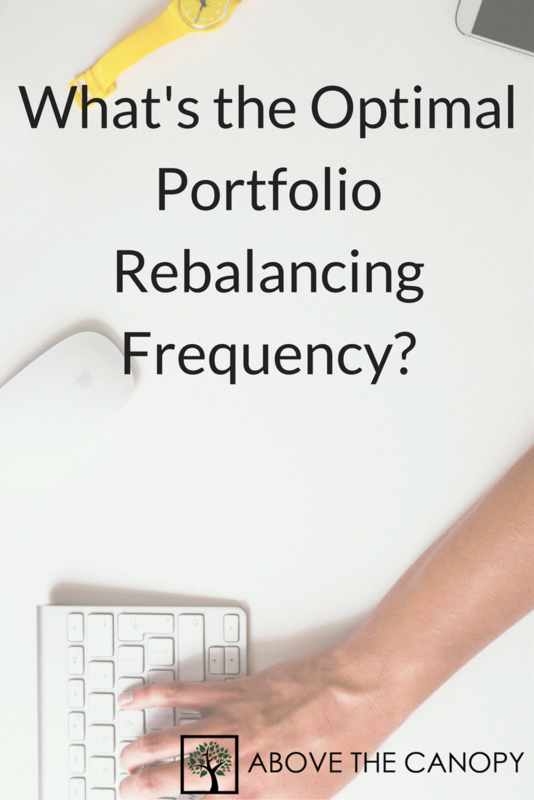 What’s the Optimal Portfolio Rebalancing Frequency? If you’ve read the blog for very long, you probably know that I’m a big proponent of thoughtful and customized asset allocation. The percentage of your portfolio invested in stocks, bonds, cash, and real estate should vary based on your personal financial objectives and tolerance for risk. In fact there are plenty of studies contending that asset allocation determines the vast majority of your portfolio’s return. In other words, it doesn’t matter as much which stock or bond you choose to invest in. It matters far more how much of your portfolio is invested in stocks or bonds in the aggregate. If you’ve ever managed your portfolio (or anyone else’s for that matter) you also know that over time your portfolio’s asset allocation will change as the market fluctuates. 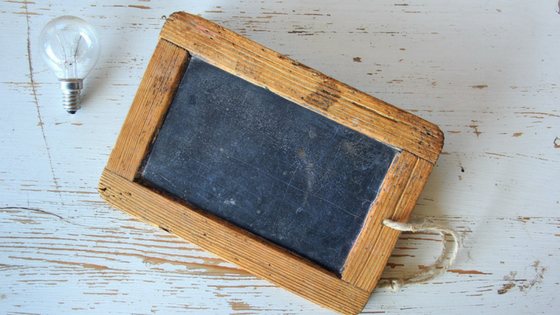 If you start with 60% in stocks and 40% in bonds, you might find your portfolio weighted 70% in stocks and only 30% in bonds after an appreciation in the stock market – especially since bonds tend to fall when stocks rise. This is why it’s important to rebalance your portfolio over time. The whole point of building a customized asset allocation is to match the risk in your portfolio to your personal risk tolerance. As your individual investments fluctuate in value, selling some of the appreciated positions and replacing them with some of the depreciated positions brings your portfolio back to its intended allocation. For example, if a 60/40 portfolio became 70/30 after the markets moved, you’d want to sell stocks that represent 10% of your portfolio and use the cash to purchase bonds – returning to your original 60/40 allocation. Without rebalancing, your portfolio would continue to stray over time, ensuring a level of portfolio risk that’s higher or lower than you’d like. If you’ve ever invested in a mutual fund, you may know that they’re required to distribute at least 95% of their capital gains to investors each year. 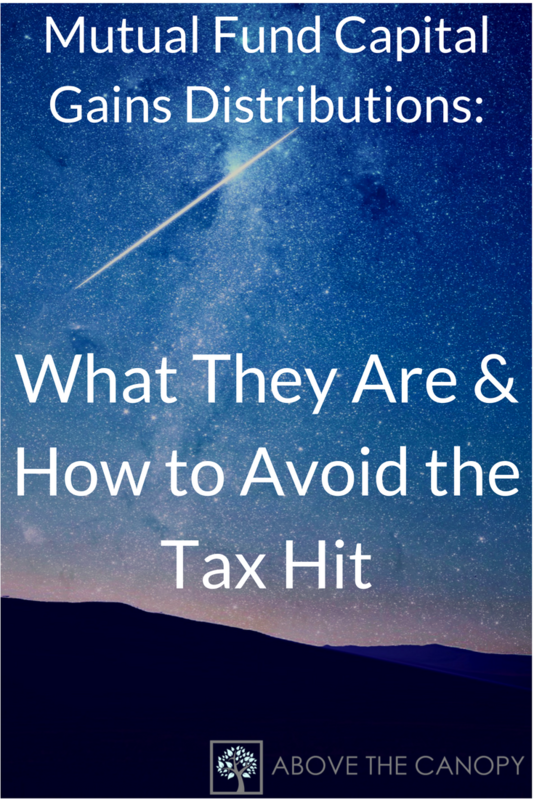 You may also know from experience that these gains are not always welcome since they come with a tax liability attached. More often than not these capital gains are not large enough to cause investors to stir. But every year there are a few funds that pass massive unwanted gains on to investors, leaving them with a big, stinky tax bill. This post may be slightly tardy given that some mutual fund families have already distributed their year end capital gains. Nevertheless, it’s an important topic that you should be aware of and keep an eye out for. If your objective is to minimize your tax bill (hint: it probably should be) you’ll want to know about upcoming distributions at the end of each year, and avoid them when it makes sense. This post will cover exactly what capital gains distributions are, why mutual funds distribute them, and when and how you might want to avoid them. This post is to announce that I’ll be hosting a free retirement webinar in a few weeks. 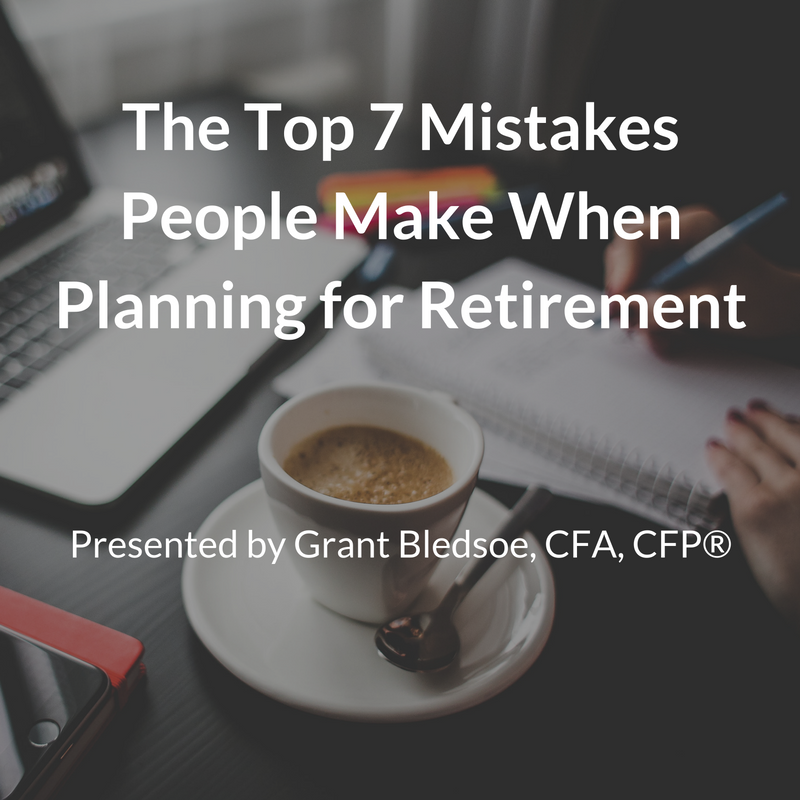 I’ve been getting a lot of questions recently to the effect of “what am I doing wrong?” when it comes to retirement planning. As you may know, we’re often our own worst enemy when it comes to retirement planning. As human beings we tend to get emotional when it comes to our finances. Rather than remaining logical, balanced, and objective, we often make poor decisions because our emotions get in the way. Even if you can’t attend at these times, make sure to register anyway. After the webinar is over I’ll email you a replay copy you can watch at your own convenience (for a limited time).